The creation of NeXT and the sequential pivoting of the company from hardware to software to acquisition is one of the most fascinating episodes in the career of Steve Jobs. Unfortunately, it’s also one of the least documented. Many of us had high hopes that the biography of Jobs by Walter Isaacson would illuminate the period of his career that defined a lot of the skills and practices that have made Apple a success. Sadly, it didn’t deliver in that department, aside from a detailed description of the NeXT factory. This video is from a series called Entrepreneurs, that documents the creation of NeXT. The real gems here are the way that Steve interacts with the team, shooting down what he feels are silly ideas and encapsulating several minutes of brainstorming with explicit goals. Update: As pointed out by commenter Sho_hn on Hacker News, the woman who stands up to Jobs (11:00 minute mark) about the due date being part of his ‘reality distortion field’ is Joanna Hoffman, of the original Macintosh team. She had a reputation for being the one to lock horns with Jobs and was even given an award internally by the team two years running for doing so. This anecdote can be found in the bio of Jobs by Walter Isaacson. You can read more about Joanna on Andy Hertzfeld’s fantastic Folklore.org here. As a bonus, here are a couple more must-watch videos from the NeXT era. 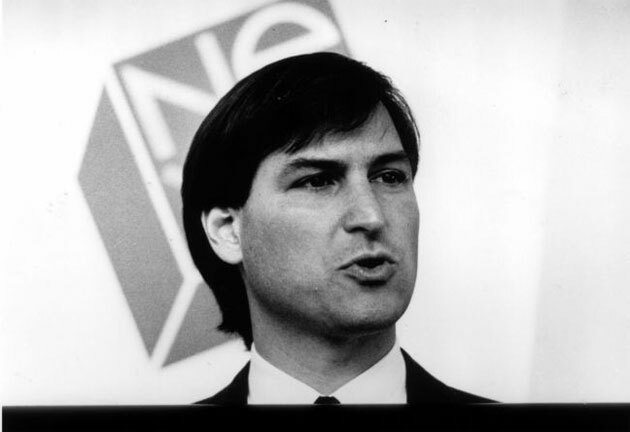 The first two are Jobs explaining the goals of NeXT in an internal video, and the third is a demonstration video of the NeXTStep software by Jobs himself. If you’d like to see more cool NeXT stuff, be sure to check out YouTuber Slomacuser’s channel for some other great material. Find more Apple news and discussion every day at TNW Apple.